What’s summer in Australia without relaxing in the pool on a sunny afternoon? A nice dip after a long, hot day can be a godsend, and hey, it gets the kids outside and exercising. But how much is the great Aussie outdoor lifestyle really costing you? Pools are increasing in popularity throughout the country, particularly in the northern states where up to a fifth of households own a pool. The typical Australian swimming pool holds between 40,000 and 50,000 litres of water. But as fun and refreshing as pools can be, running them and keeping them clean can be a costly exercise. One study found that homes with pools use 49 per cent more electricity per year than homes without one. This is in part because households with pools tend to be larger, have more occupants and often run more energy-hungry appliances – such as multiple air conditioners. Oh, and they have swimming pools! Just how big of a factor is a swimming pool on your electricity bill? The average swimming pool will cost between $800 and $1,200 to run annually – consuming between 2,000 and 3,000 kilowatt hours of electricity. That’s about $23 each week! This cost takes into account the ongoing cost of your pool pump, but does not include heating – that’s going to be extra! So you’ve just built your pool, and can’t wait to jump in and bask in cooled goodness. There are a few more things than just building one and putting some water in it that you’ll need to consider. 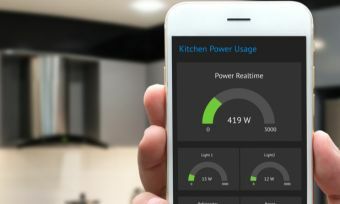 A backyard swimming pool can account for 17 per cent of your total electricity bill and there are some components to a pool that are notorious for running up your power bill. Heated swimming pools are will often make your energy bill skyrocket. Gas pool heating heating can cost anywhere between $4 and $17 per hour to run according to the SA Government. Solar heating is much cheaper, only costing around $0.18 and $0.26 per hour. Even in the depths of winter you can heat a pool to 28°C in about a day, which provides balmy, year-round swimming. The easy adjustability of heat settings by the user also means that costs can vary wildly. A typical gas pool heater can easily cost $100 a week or more to run, doubling the cost of a pool without a heater. The bigger the pool, the more it costs to heat it. So, if it takes a day to heat up your pool just for a few hours of enjoyment in July, then consider if the potential bill shock is really worth it. While requiring significantly less energy than a gas heater, the costs of a running a pool filter can still add up. You may have noticed that your pool water level is lower after a hot day. This is what we all know as evaporation, and it may seem harmless but the energy lost through evaporation can mean more dollars out of pocket come bill time. 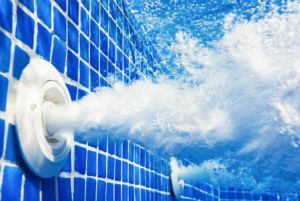 Evaporation obviously removes water from your pool, which can drive up your water bill alone from topping the pool up. Surface area of the pool. Larger surface equals more evaporation. Air temperature and humidity. Hot and dry air can equal more evaporation. Wind levels. A windy area will have faster evaporation rates due to the wind creating its own micro-climate just above the surface of the water. The amount of people using your pool. Bodies in the pool affect the micro-climate in the air above the pool. So there’s your science lesson for today. Evaporation is more than just water loss; it’s about energy loss too. Chlorination is more than just dumping a bag of chlorine into the pool and calling it a day. Nowadays, there are pumps to cycle around the chlorine, which is necessary to kill bacteria and maintain the water quality of the pool. A chlorination system requires a pretty in-depth process to sanitise the water. While not a major culprit in the power stakes, chlorinators can often cost up to 7c an hour to run. As established, pools are a lot more than just chucking some water in a hole in the ground and going for a dip. Pools are complex systems that a chemistry nut would love, but for many of us, the way in which all the parts come together to provide summer enjoyment can be confusing. All of the parts required for a safe and healthy pool can also add up when they’re running. Though, there are a few measures you can use to minimise how much energy a pool takes to run. How do I run my pool efficiently? By far and away the easiest and most direct solution to your bill woes is to buy a pool cover. Directly related to the evaporation point mentioned earlier, pool covers largely hinder the evaporation process. Evaporation rates can be culled by 97 per cent with a pool cover, which can result in energy savings of up to 50-70 per cent. Of course, getting an adequate pool cover cut and delivered isn’t exactly cheap, but given how much energy is lost through evaporation, it’s a no brainer and your costs will likely be made up in no time. Despite all these drawbacks, solar water heating can affect your bottom line for the good. And if your gas heating is extremely costly to run then you’ll likely make up your investment in solar in no time. Often, traditional pumps operate on a level large enough to filter through backwash. This requires a lot more energy than a normal filtration cycle. By adjusting the pump power necessary for a mere filtration cycle you can save on energy that you don’t need. This runs off what’s called the ‘Pump Affinity Law’. Now to save you another science lesson, basically this means that energy savings are disproportionately larger when you lower the speed of the pump. The law states that reducing your RPMs of your pump by 50 per cent creates an energy saving of 75 per cent, and it get more disproportionate as you lower the RPMs further. So it’s not 1+1 = 2 here, it’s more like 1+1 = 4. Multispeed pumps may seem like a bit of a waste of time, but under the Pump Affinity Law they make a lot of sense. Regularly cleaning your filter system can help to keep running costs low – a clogged filter requires the pump to work harder to clean the pool, using more energy as a result. Paying for a pool maintenance specialist can be hugely cost-effective as they will regularly assess the energy efficiency of your pool. 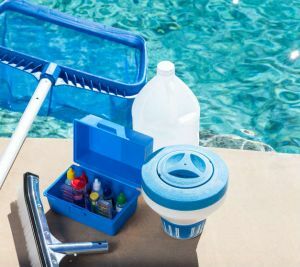 Like servicing your car, pool maintenance specialists use preventative measures to extend the life of pool parts, before they break down and become a costly headache. Pools can be great fun and a lifesaver in summer, but they’re not without their pitfalls. Like with any large investment – such as a home or car – pools require regular maintenance to keep them running. 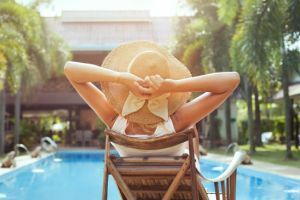 Before installing a pool, it’s important to assess the benefits of the energy-saving measures highlighted in this article. Furthermore, if you’re building a pool in your backyard, consider the size of the pool you are installing for the size of your household – as the smaller the pool the more economical it will be. If you already have a pool in your yard then consider proper maintenance, and replace parts with more efficient ones that can drastically reduce your power bill. If you are looking for an immediate and ‘bang for buck’ solution, then you simply can’t go past a well-fitting pool cover. Before any other measures are taken, a pool cover should be your first port of call. With a little research and careful shopping, you can run your pool all year round without much anxiety or headaches about how much your next power bill will come to!